Each entry has the chance to be featured in the rennen photography prize magazine - landscape. RENNEN Photography Prize is not just a photography competition. Photography brings people together from around the world and every photograph has it's own story. We want to share your story. Ever wondered where a photograph was taken or what the objective was from the artist behind the lens? Ever wanted to know what camera they used or what time of day it was? 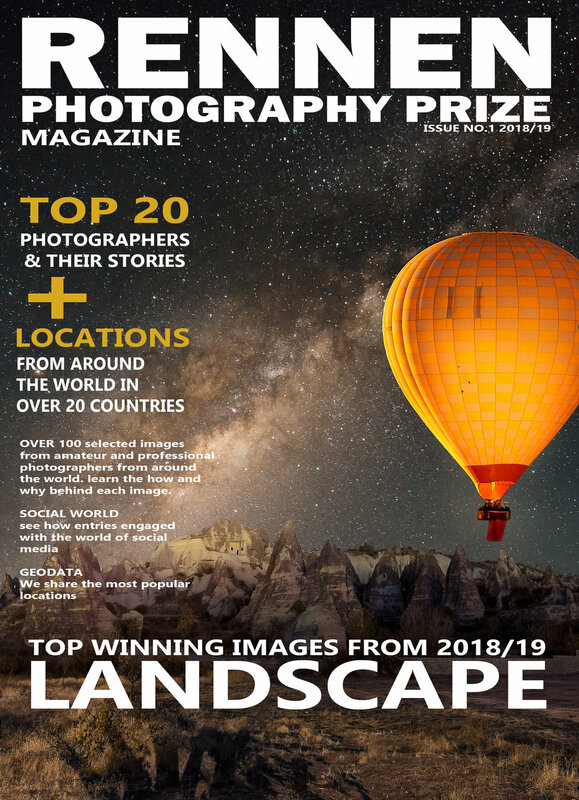 For 2019 every entry has the chance to be published in the RENNEN Photography Magazine. Magazines will be available in hard copy from the estore in 2019.